Insurance and financial services giant American International Group (AIG) is buying UK firm Ocean Finance and Mortgages Ltd for an undisclosed fee. The deal means a windfall for Ocean chief executive CEO Paul Newey who set up the Staffordshire firm in 1991. Employing about 300 people, it offers loans against the value of people's homes, as well as mortgages and remortgages. Ocean said it currently had a portfolio of loans worth about £60m. Subject to the deal going through, it will be owned by AIG subsidiary American General Finance Corporation - which has about 9,700 employees and 1,450 offices. 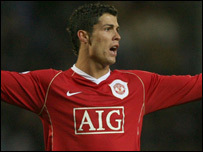 AIG's most high profile presence in the UK is through its £56m shirt sponsorship of Manchester United.